S&P Dow Jones Indices recently released the latest results for the S&P/Case-Shiller Home Price Indices, the leading measure of U.S. home prices. 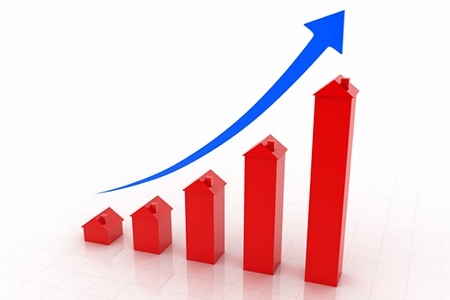 Data released for June 2015 show that home prices continued their rise across the country over the last 12 months. The S&P/Case-Shiller U.S. National Home Price Index, covering all nine U.S. census divisions, recorded a slightly higher year-over-year gain with a 4.5 percent annual increase in June 2015 versus a 4.4 percent increase in May 2015. The 10-City Composite had marginally lower year-over-year gains, with an increase of 4.6 percent year-over-year. The 20-City Composite year-over-year pace was virtually unchanged from last month, rising 5.0 percent year-over-year. Denver, San Francisco, and Dallas reported the highest year-over-year gains among the 20 cities with price increases of 10.2 percent, 9.5 percent, and 8.2 percent, respectively. Eleven cities reported greater price increases in the year ending June 2015 over the year ending May 2015. Denver is the only city with a double digit increase, and Phoenix and Detroit had the longest streaks of year-over-year increases. Phoenix reported a 4.1 percent in June 2015, the seventh consecutive year-over-year increase. Detroit recorded 5.7 percent in June 2015, the sixth consecutive year-over-year increase. Before seasonal adjustment, the National index and 20-City Composite both reported gains of 1.0 percent month-over-month in June. The 10-City Composite posted a gain of 0.9 percent month-over-month. After seasonal adjustment, the National index posted a gain of 0.1 percent while the 10-City and 20-City Composites were both down 0.1 percent month-over-month. All 20 cities reported increases in June before seasonal adjustment; after seasonal adjustment, nine were down, nine were up, and two were unchanged. “Nationally, home prices continue to rise at a 4-5 percent annual rate, two to three times the rate of inflation,” says David M. Blitzer, Managing Director and Chairman of the Index Committee at S&P Dow Jones Indices. “While prices in San Francisco and Denver are rising far faster than those in Washington D.C., New York, or Cleveland, the city-to-city price patterns are little changed in the last year. Washington saw the smallest year-over-year gains in five of the last six months; San Francisco and Denver ranked either first or second of all cities in the last five months. The price gains have been consistent as the unemployment rate declined with steady inflation and an unchanged Fed policy.